No homeowner enjoys cleaning the gutters, but this essential household chore prevents expensive water damage from flooding gutters. If you’re not sure whether you need to clean your gutters, there is an easy way you can check without climbing a ladder. Attach a hand mirror to a length of PVC pipe and use it to check your gutters. Cut the end of the pipe at a 60-degree angle so you can easily see into the gutter when you hold the mirror above it. 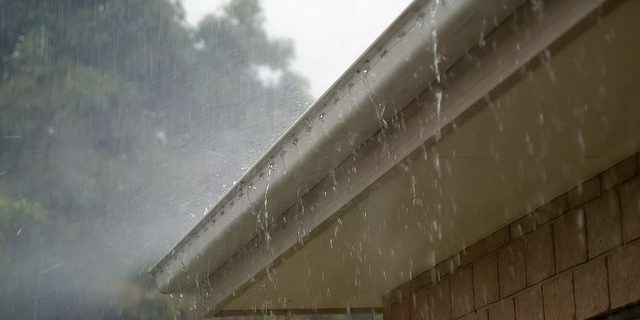 Your home may have several gutters at different elevations, so you may need to use a ladder to reach higher gutters. Your mirror tool can be useful for other household chores, too. If you need to reclaim your hand mirror after using it to check your gutters, simply use electrical tape to attach it when you need it and then remove the tape when you are done.